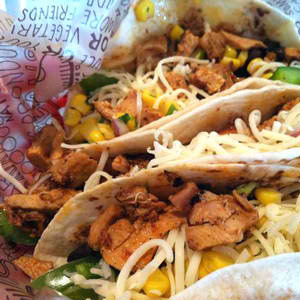 By now, the Chipotle secret menu is no fable to many. Rumors of the Quesarito have spread and been verified as truth. Many have tried the monster burrito creation, but few know that the Chipotle secret menu extends far beyond its signature mashup. 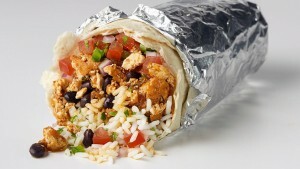 Learn more about Chipotle nutrition before stepping into the ring with one of Chipotle’s secret menu beasts. 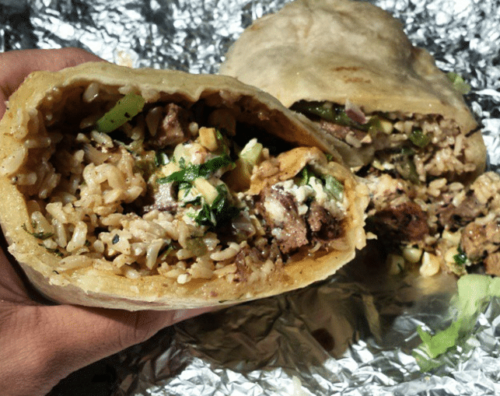 Boasting favorites like the Burritodilla and hacks for cheaper food, this resource is a must read for anyone who considers themselves a Chipotle fan. 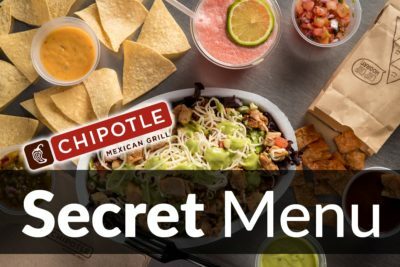 What is on the Chipotle Secret Menu? This behemoth takes the already-engorging burrito and wraps it with a gooey quesadilla outer layer. Warm melted cheese explodes in your mouth, cutting the spice of the burrito but not the flavor. 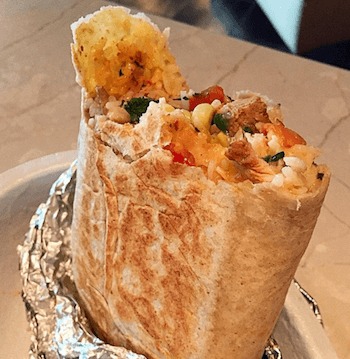 It is not for the faint of heart – it’s even harder to stomach entirely than the burrito, and adds a lot of dairy – but any Chipotle addict needs to try this godsend. A favorite on the Chipotle menu for sure. Just ask for a Quesarito, and most employees will know how to make it by now. If not, ask for a burrito wrapped with a quesadilla. They’ll figure it out. Pretty soon, though, the Quesarito will be a household name. 4) Fold like a quesadilla and cook it It’s an easy alternative to the Quesarito that’s sure to turn heads. Try one for yourself and see what all the hype is about. 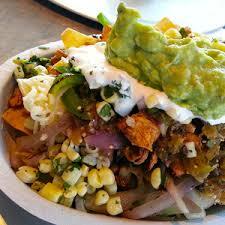 Get all the delicious, fresh toppings in a Chipotle burrito crammed onto a cheesy nacho chip for a nice added crunch. Not to mention, it allows you to share with friends if you aren’t looking for a huge meal. Just ask for a Burrito Bol with chips at the bottom, instead of rice. Whatever type of burrito toppings you want, you can enjoy with a salty crunch on a plate of nachos. Did you know that you could order a quesadilla at Chipotle with any toppings that go on the traditional burrito? The tantalizing cheesy wedges filled with fresh toppings are a feat of nature. To order one, just ask for a quesadilla and in any type offered for the burritos. What topping will you choose? For the kids that need their Chipotle fix, or parents lacking an appetite, this modification to the typical 3-taco combination is growingly popular. If more people knew about it, too, I’m sure it’d be purchased all the time. How can you say no to a juicy taco for just $2.25? Just ask for a single taco – one taco instead of three – and they’ll take care of it for you. It’s the perfect portion for a good snack or add-on to the average meal. 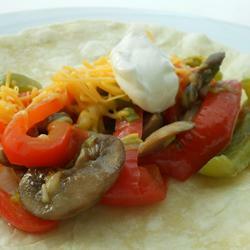 Ever desire the soft tortilla encompassing a burrito more than its delicious inner contents? Then make your experience twice as satisfying, by asking for a burrito wrapped in two tortillas. It’s something you have to try. It is free after all! To order one, just ask for a burrito wrapped in two tortillas. While it may cost a hefty price to get extra meat or to add some guacamole to your burrito, ask for more fajita veggies – grilled onions and peppers – and they’ll throw it in your burrito or bowl for free. Some of the best parts of what I now order at Chipotle are kept secret from many customers. Hopefully, this sheds the light on how easy it is to make a diverse, delicious burrito! To Chipotle’s Burrito Bol addicts, did you know that you’re limiting yourself to one measly shell when you can have one or two more? Just ask nicely, and they will provide you with either two free taco shells or one free tortilla shell. That way, you can make your own tacos with toppings of your own choice, or just enjoy a crunchy tortilla, if that’s what you want. Either way, it’s free, so give these extras a try for a little-added crunch into your meal. Chances are, you’ve been limiting your Chipotle experience to the standards of one topping at a time. I’m here to tell you that you can mix and match every topping to your pleasing to make for the ultimate dining experience. Employees always ask “black or pinto”, but you can get both beans if you really want – just make sure you get rice to soak up the sogginess. Looking for something between mild and spicy salsa? Get a mix of the two. You can even mix and match your meats for a burrito or bowl, getting half a scoop of chicken and half a scoop of steak to add a little variety to your dining experience. 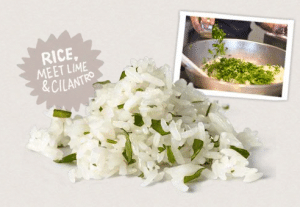 The rules of mixing and matching apply to just about every fresh ingredient at Chipotle. Just be courteous and ask, and any employee is willing to oblige – it’s all about ensuring you have the best meal for you. Think of the ingredients as a buffet for you to choose from and mold into the optimum combination; the employee is just the chef. A powerful spice that receives some highly polarized opinions, cilantro makes for a great addition to any dish at Chipotle – at least for its fans. The spice is known for its resemblance to parsley, sporting a citrus-like kick on the side. Some, however, avidly boast that cilantro tastes like soap. There are even websites such as ihatecilantro.com solely for the purpose of expressing that negativity. That being said, Chipotle will put it in any dish for free, so for those that don’t shudder at the sound of the word, give it a try and experience some extra spice in your meal.